Melbourne is a beautiful city in Australia. Many good-looking places and venues. 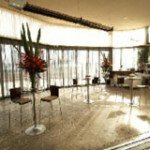 If you are thinking about finding a perfect function venue in Melbourne for any event then it is difficult to select one. It is because you will have any options. 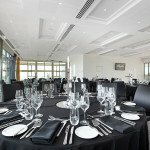 Choosing a function room depends on your interest and choice. However, in this busy life, it is very hard to go and examine every venue in person. You will waste too much of time and money in it. That is why, we thought of assisting people of Melbourne, who wants to enjoy their event in the city. In this page, we will bring some of the top venues for events. We will cover all kinds of events like marriage, birthday party, bachelor’s party, conference, engagement, christening and many more. It is difficult to select few. That is why; we will mention enough options for you so that you can select that function room which suits you. This is definitely one of the best places to organize your event. This place will give you a sense of calmness. As the place on the river edge, you will not feel the effect of the atmosphere. The cool breeze will keep you cool in summer and the park will help you to enjoy the view. They allow all kinds of parties, weddings, and corporate events. It is on North Wharf’s precinct of the Melbourne’s CBD. You can enjoy the Kosher cuisine, Indian cuisine, South East Asia’s food and bar and Bat Mitzvah. They have different venues in Sydney and in other cities of Australia. If you are interested in organizing a wedding reception, corporate events and other functions then this is also a better choice. 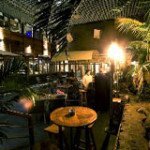 The place looks good and offers different types of food to enjoy. The company has 129 rooms, many orbs, bars, and 29 restaurants in all over the city. 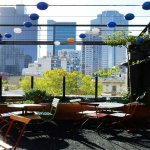 Even you can opt for the rooftop party with cocktail bars. 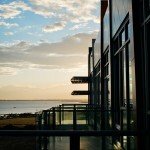 This place is in 36 Albert Park, Lakeside Drive, Melbourne. They too offer all kinds of cuisine from Indian to kosher to the Asian cuisine. Therefore, if you are a foreigner living in Melbourne then you can organize events, the way you would organize in your home country. You can opt-in for the school and university parties, wedding functions, birthday parties and many more. It also allows you to go to private parties. This place is a two-story building ready to host all kinds of parties and the events. You can organize events, exhibitions, marriage reception and other occasions. The place has soaring high-level ceilings and offers once in a lifetime kind of services to you. They offer all kinds of breakfast, food, cuisine and the party elements. The dining menu also includes Rockpool Bar and the Grill. 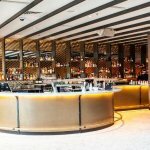 You can enjoy five menus from five restaurants along with the cocktail party in this venue. 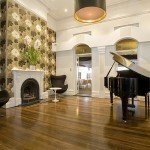 If you are after a luxury house or unique venue in Melbourne, then you have to consider the Baroq house. This place is luxurious and has good-looking set to it. They relaunched the house in September of 2017. The place is now improved. If you are looking for a venue with premium food, drinks, beverage and the modern style services, then this could be one of your choices. This place is at 524 Flinders-street, Melbourne. This event place is unique and looks like a warehouse. This does not mean bad. It looks pretty good with all the decorations. At max, this place can hold 270 guests. The seating capacity is around 130. Many of biggest companies have organized occasions in this place. You can choose the blank canvas wherever you want. This place has catering room for all kinds of food services. You can even enjoy drinks on outside the area. This place is good because you can customize it the way you want. There are no restrictions. Therefore, you can choose your own furniture for decoration. This place is beautiful and well organized. You can organize any kind of event and parties here. The place offers good services for the client. You can set up the party, wedding reception, Christmas party, and many more events. As the place is big, you can have a good amount of guests. 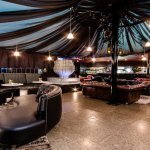 This function venue for hire in Melbourne offers a dining room, bar, grill, cocktail party, and many things. They have different venues. You can select the venue depending on your taste. This place is in 55 New Quay Promenade. Instead of a place, you can say area. You can be a part of open field happening at this waterfront event place. This place will give a different experience. Cool breeze and sand will give you a pleasure of attending a wedding and other private parties. 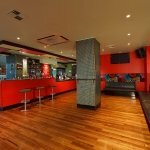 As there are many function rooms in Melbourne, these choices will help you to choose the right one. You can contact us and help you check the facilities. As these are well-researched choices, there is a very little choice that you find better function centre than these suggestions. You can organize a wedding reception, birthday party, family functions, business meetings and all other kinds of functions. We personally visit all of the location venues that we recommend so you don’t get any surprises the day of your event.